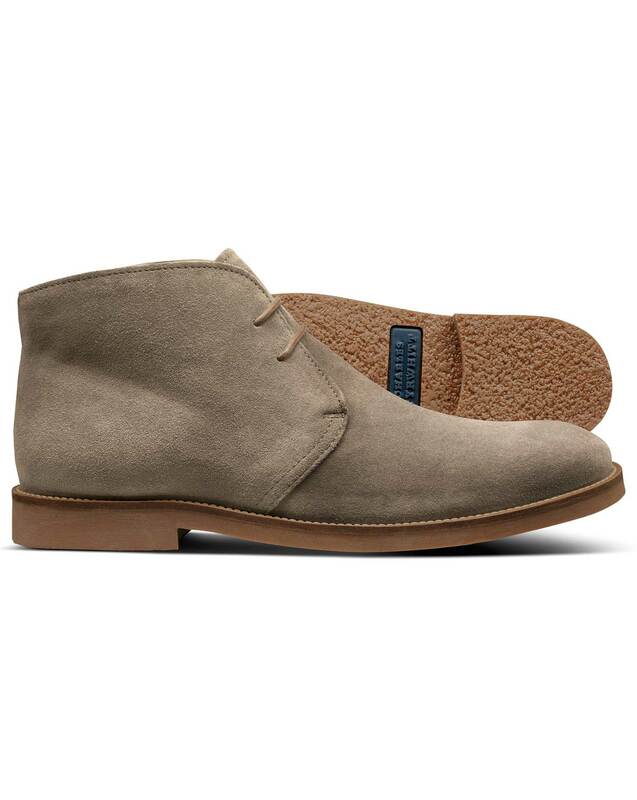 "Desert boots were inspired by the crepe-soled suede boots made in Cairo's Khan el-Khalili bazaar for British Eighth Army officers. But that’s absolute trivia. What you need to know is that they’ll look ruggedly smart with the best of your casual attire." "The ultimate casual boot, made from premium suede with classic styling. Wear them with chinos for a smart downtime look." The first pair I bought appear to have a defect in the sole of one boot (not evident in the contralateral one) and not reflected in the wear patterns of my other boots and shoes. If the same occurs in the second pair, I'll put it down to manufacturing defects and not buy those ones again. Response from Charles Tyrwhitt: Here at Charles Tyrwhitt we strive for consistency in all of our products, and I am sorry to hear that you have not always been experiencing this with your purchases. We thank you for your feedback so that we can continue to assess how to improve, and please do remember that we have our six month guarantee for all items regardless of wear and can immediately replace any faulty items at no extra cost.